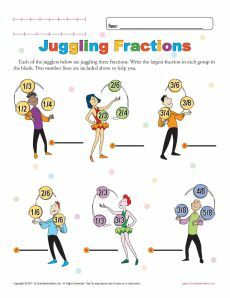 The amusement park jugglers are juggling some fractions: it's your student's task to determine the largest fraction in each set. What a great way to practice 3rd Grade Common Core Standards for Numbers & Operations! Other students may also benefit from the worksheet.